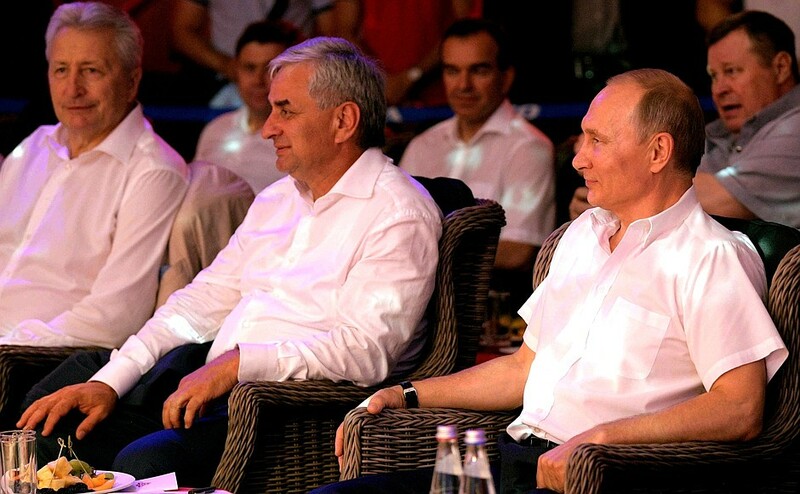 Vladimir Putin visited combat sambo tournament. 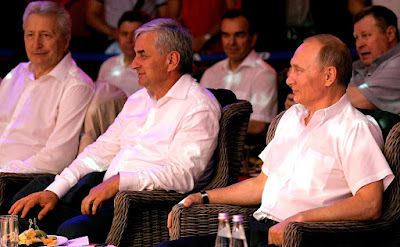 Putin.BLOG Judo Sports Vladimir Putin visited combat sambo tournament. Vladimir Putin attended the Platform S-70 8th International Professional Combat Sambo Tournament of League S-70. Vladimir Putin at the Platform S-70 8th International Professional Combat Sambo Tournament of League S-70. With President of Abkhazia Raul Khadjimba. The President presented the prize to Vyacheslav Vasilevsky, winner of the tournament in the weight class of up to 84 kg. 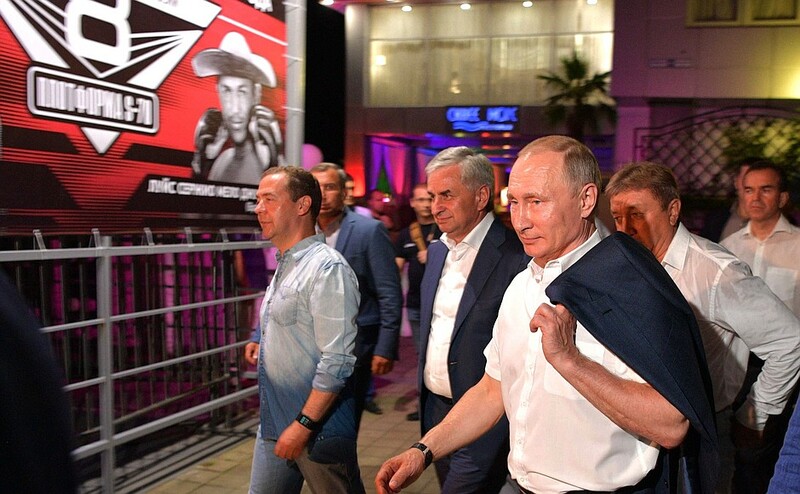 Russian President was accompanied by Prime Minister Dmitry Medvedev, President of Abkhazia Raul Khadjimba, as well as prominent Russian hockey players Alexander Ovechkin, Pavel Bure, Yevgeny Malkin among others. 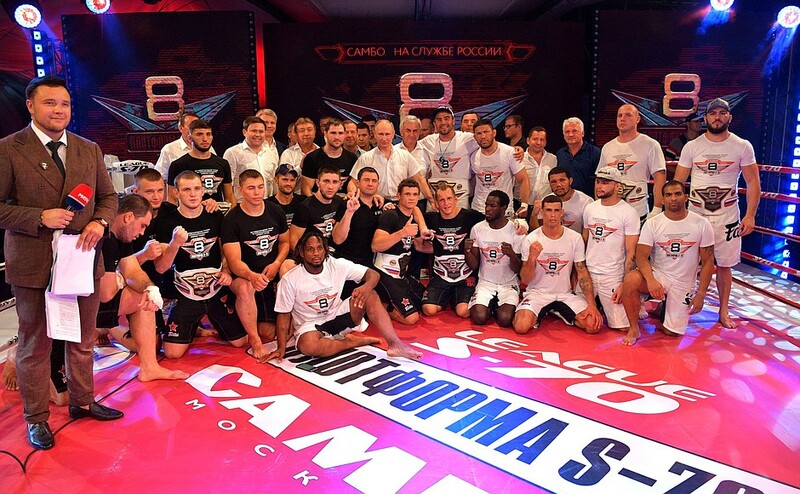 The tournament featured ten bouts between top Russian and foreign sambo professionals. 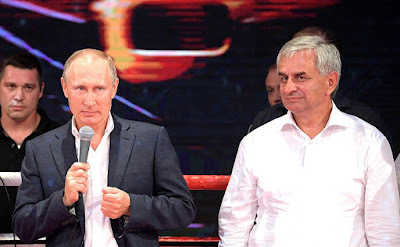 President Putin took part in the awards ceremony and presented the prize to Vyacheslav Vasilevsky, winner of the tournament in the weight class of up to 84 kg. The competition was organized by Sambo-70, Russia’s largest sports and education center, and League S-70, under the aegis of the Ministry of Sport, the Krasnodar Territory Administration and the Sochi City Administration. The event traditionally took place at the Platform Sports and Entertainment Centre. Speech of Vladimir Putin at awards ceremony. We saw some very cool fighters today. They demonstrated everything that the martial arts are valued for – diverse technique, excellent ground fighting and brilliant throws. But most importantly, these fighters demonstrated their courage, stamina and audacity. I would like to thank them. Let’s give them another cheer! 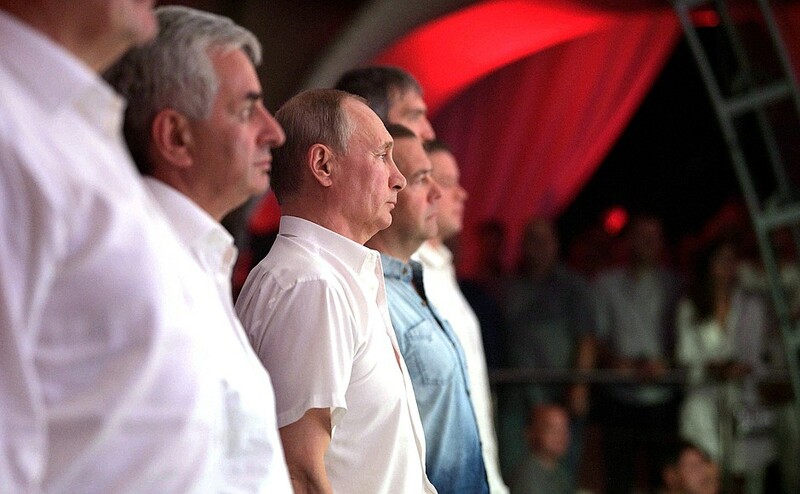 Vladimir Putin attending the Platform S-70 8th International Professional Combat Sambo Tournament of League S-70. With President of Abkhazia Raul Khadjimba. I want to thank both our Russian fighters and our friends from all over the world. They came here from so far away, travelled thousands of kilometers to prove their excellence. We are one family, we love you all. We hope to see you again next time, but, of course, hope that the Russians win. My special thanks go to the event’s organizers. Thank you for uniting sport and a love for our country, Russia. Congratulations on these exciting fights. Congratulations to the winners and their opponents. Vladimir Putin before the beginning of the Platform S-70 8th International Professional Combat Sambo Tournament of League S-70. Vladimir Putin with participants in the Platform S-70 8th International Professional Combat Sambo Tournament of League S-70. 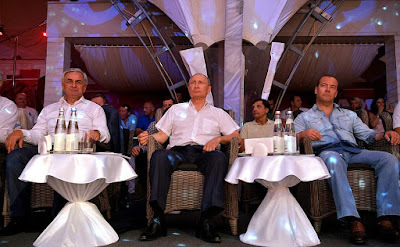 Vladimir Putin attending the Platform S-70 8th International Professional Combat Sambo Tournament of League S-70. Vladimir Putin during the Platform S-70 8th International Professional Combat Sambo Tournament of League S-70. With President of Abkhazia Raul Khadjimba. President Putin attending the Platform S-70 8th International Professional Combat Sambo Tournament of League S-70. With Prime Minister of the Russian Federation Dmitry Medvedev (right) and President of Abkhazia Raul Khadjimba. 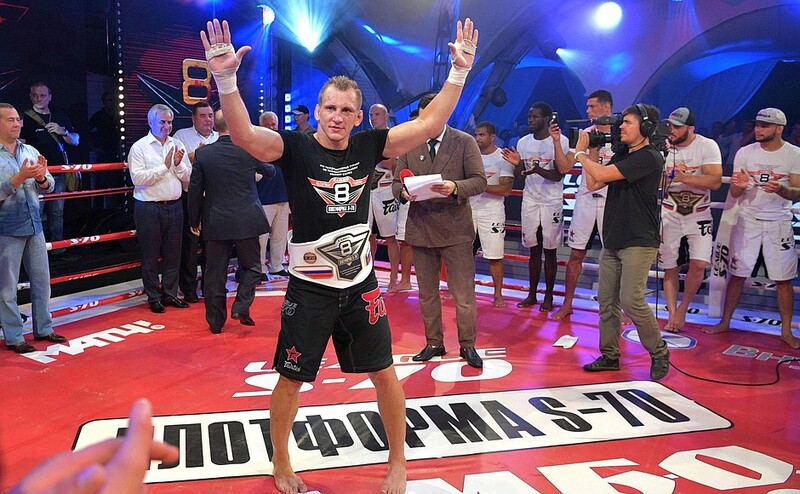 Vyacheslav Vasilevsky, winner of the Platform S-70 8th International Professional Combat Sambo Tournament of League S-70 in the weight class of up to 84 kg. 0 Comment to "Vladimir Putin visited combat sambo tournament."